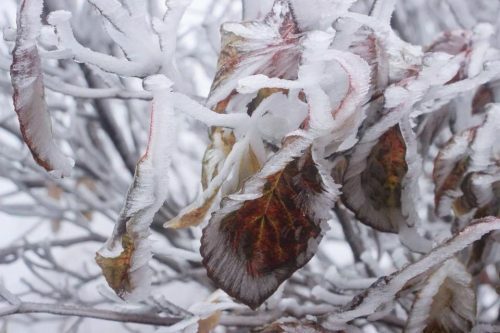 Photo courtesy of Wintergreen Resort : A mix of frozen fog and ice encase these leaves Wednesday morning – November 8, 2017. While people living in the lowlands got nothing more than a cold rain into the early morning hours Wednesday, people living in the mountains got another reminder that winter isn’t that far away. Above more wintry like photos from Wintergreen Resort. Click on the image above to see them. The coldest weather of the season is on the way late this week. I talk more about it in my weather update just below.